Socket Technologies Inc. is a GIS consulting company providing services for Electric, Gas, Water and Sewer industries. Founded in 2005 by Geographic Information System (GIS) expert and MBA, Naren Ranganathan, Socket Technologies, Inc., began as a small consultancy specializing in Enterprise-level GIS solutions for the ESRI ArcGIS platform. Our core strength is in GIS integration with AutoCAD® Systems, Work Order Management (WMS), Outage Management System (OMS), Customer Information System (CIS) and Enterprise Asset Management (EAM). We have experience integrating and implementing large scale Work Management solutions for leading utilities in the USA. We have been consistently hired by industries leading system integrator such as IBM, Cohesive Solutions, PwC. Our experience includes working with Electric Membership Corporations, Pacific Gas & Electric, Sempra Energy (SDGE & SCG), NiSource Inc., Westar Energy, WBI Energy, Sarasota County, Tampa Bay Water & Eversource Energy. We provide custom GIS solutions for ESRI®, Schneider Electric ArcFM®, ArcFM Designer®, AutoCAD® Conversion Services, IBM®Maximo Spatial, Oracle® Work Asset Management and SAP Work Management. We also provide onsite consulting services for large scale Enterprise Asset Management implementations for Water, Electric and Gas utilities. We can design, develop and integrate Work Management software with GIS. Socket Technologies Inc. is pioneer in providing GIS solutions by automating various GIS tasks using Microsoft .Net Framework , ESRI ArcObjects API & ESRI REST services. While we develop GIS solutions we also have been gaining great insights about IT solutions and strategies for Enterprise IT solutions. We can support, integrate and maintain your traditional and cloud solutions. Socket Technologies Inc. based in Atlanta, GA has been developing custom GIS solutions for companies in the utilities arena since 2005. From strategy to execution we develop and deliver technological solutions that help tranformations, productivity, and streamline IT operations. Socket Technologies Inc. established in Atlanta has been providing GIS consulting services using EAM, AutoCAD Integration, ESRI and ArcFM softwares. We provide EAM solutions for Electric, Gas & Water utilities. We are leading GIS integration experts in the North America and continuously recruited for large implementations. We offer EAM solutions with IBM Maximo, SAP, Oracle WAM and integrating with ESRI. We are provide custom solutions for AutoCAD conversion into Enterprise ESRI GIS system. 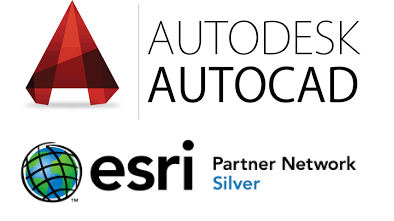 We have extensive experience automating AutoCAD conversion process using ESRI ArcGIS Desktop, AutoCAD Lisp, Python scripting. We integrate ArcFM with ESRI by installing, configuring and implementing validation rules. ArcFM is leading software for utilities to automate the workflow to manage, edit landbase. ArcFM can also be customized for each utility based on their standard opperating procedures by creating ArcFM Tools, Validation Rules, Model Names, Feeder Manager rules. Founded in 2005 by Geographic Information System (GIS) expert and MBA, Naren Ranganathan, Socket Technologies, Inc. was started at Atlanta GA, began as a small consultancy specializing in Enterprise-level GIS solutions for the ESRI -ArcGIS platform. Schneider Electric ArcFM Customization, Schneider Electric, ArcFM (Desginer,Viewer & Redliner) Configuration, ArcSDE Server Installation, Administration, Maintenance & Configuration, Database Management (SQL Server and Oracle 11g), ArcGIS Installation & Configuration, Geodatabase-Replication Configuration and Planning. Socket Technologies Inc. headquartered in Atlanta USA is looking for ArcGIS, Maximo, ArcFM, AutoCAD, Work Management experts.